In an official letter sent to Montenegrin president Filip Vujanovic, Addiko Bank AG repeated its concern regarding the Proposal of the Amendment law for conversion of loans in Swiss francs to euros, which was adopted by Montenegrin parliament on 5th of September 2016. If the amendments are applied within the law, Addiko bank will be forced to use all legal means necessary, including the process of international arbitration, and demand full compensation. The law for conversion of loans in CHF to euros was adopted in July last year, but in the meantime problems occured during its implementation. The law enables that loans with the clause of attachment for Swiss franc can be returned in euros with the interest rate of 8.2 percent. These loans were given in 2007 and 2008 in Montenegro by HAAB, and due to the change in exchange rate between euro and franc, clients’ obligations drastically increased. "These amendments are a serious violation of property rights of Addiko bank and violation of obligations that Montenegro accepted in accordance with the Agreement on mutual incentives and protection of investments between Austria and Montenegro. If the amendments become effective within the law, Addiko bank will be forced, with the support from the owners of the European bank for reconstruction and development and Advent International, and in accordance with the Agreement on mutual incentives and protection of investments, to use all legal means necessary, including the process of international arbitration, and demand full compensation", it was said from Addiko bank. Addiko bank is also planning to file a complaint on the initial Law on conversion of loans in Swiss francs to euros which was adopted in 2015, which, as they claimed, caused the damage of over 10 million euros to Addiko Bank AG. 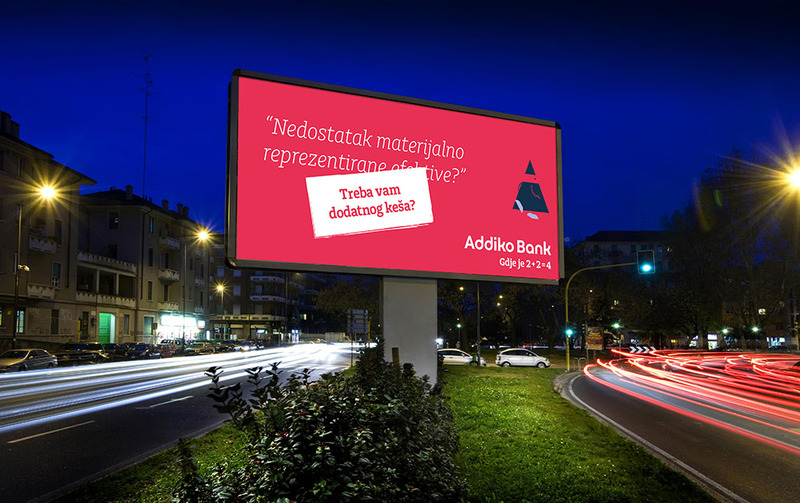 Montenegrin branch of Addiko Bank AG, Addiko Bank AD Podgorica, will ask for an opinion from the Constitutional court of Montenegro regarding these amendments.